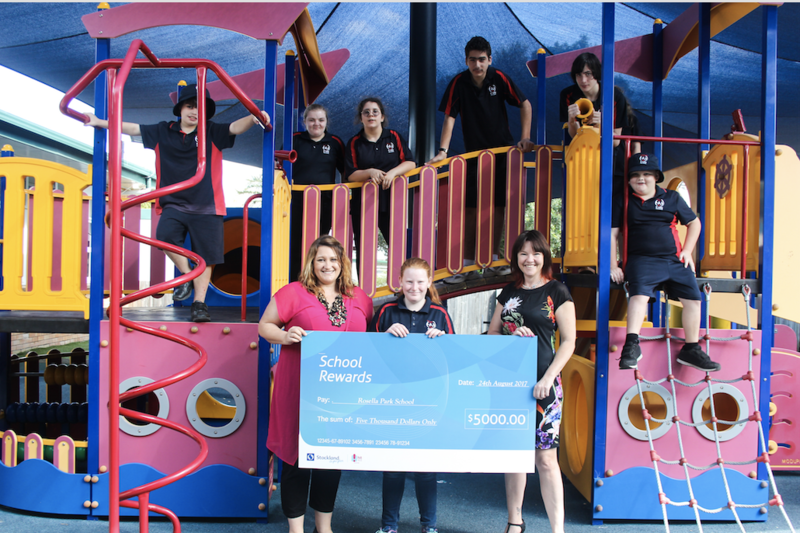 Stockland Gladstone announced the winner of its School Rewards program last week presenting a cheque for a cool five thousand dollars to Rosella Park School. Competition for first prize was ‘ferocious’ with participating schools encouraging their community to photograph and upload their Stockland receipts to score a chance of the prize money. The remaining prizes were won by Gladstone Central State School ($2500) and Gladstone West State School ($1000). Ms Hansen says they will put the money towards a small car to transport students to and from work experience. “For us our learning happens best in the environment where it naturally takes place. So you could say the community is our outdoor learning environment,” Ms Hansen said. Senior transition officer, Regan Kopelke has established partnerships with several local businesses including Little Bloom Room, Savour the Flavour, the Night Owl convenience store, Pat’s Tackle World and the major supermarket chains to provide work experiences to Rosella’s senior classes. Rosella has mini-buses for student transport but focussing on individual student pathways for the seniors mean that often only two or three students need to be given a lift at any one time. Georgia works at Little Bloom Room once a week, preparing their range of giftware and bottles for floral arrangements for sale. She is supported by Carmel Pitt, who says the car will also help support workers who generally use their own vehicles to transport students: “That means you need to allow for that in your insurance and not everyone is able to manage that,” she said. “People here have just been so incredibly lovely and they are happy to work in with Georgia. She’s small in stature so they’ve provided her with spaces suitable for her so she can work,” she said.